Tip 10: Dine on Dainty Plates. As serving sizes have increased, so have plate sizes—and seeing appropriately sized portions swimming on a giant plate can make you feel like you're not getting much food. 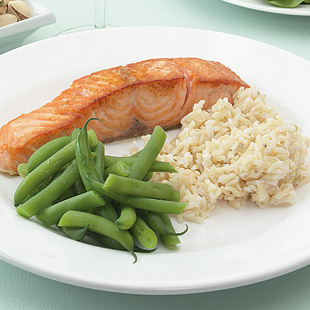 Put your main meal on a 7-inch plate, which is about the size of a salad plate or child-size plate. Choose a 1-cup dessert or cereal bowl instead of a soup bowl and a 6-ounce wineglass rather than a goblet. Find out more quick tips for weight loss. For more diet challenge tips, meal plans and get-started guide, visit the Diet Challenge landing page.